DELANO, CA — Singing, marching, chanting “Viva La Huelga!,” two thousand farm workers picketed the grape fields of California in the fall of 1965. Some had worked those fields for decades. Others were children who knew they would do the same. And would earn 80 cents an hour unless someone took up their cause. Journalists focused on a single strike leader — Cesar Chavez. But right up front, speaking through a bullhorn, was his alter ego. Where he appeared calm and Christlike, she seemed lit by fire. When he pondered, she acted. Her “Yes, we can’’ often clashed with his “not yet.” But those who knew Dolores Huerta knew she was second to no one in importance to the United Farm Workers. Fate and marriage gave her the surname that means, in Spanish, “orchard.” Yet Dolores Clara Fernandez Huerta never picked fruit. She took up “la causa” in the name of children. “A lot of the children were the children of farmworkers,” she recalled of teaching in California’s Central Valley. “And they would come to school with their raggedy shoes and their little bones sticking out of their T-shirts. And I thought that was so wrong. I thought I could do more by organizing farm workers than by trying to teach their hungry children." The mid-1950s saw the peak of the labor movement, massive unions — Teamsters, United Auto Workers, United Steelworkers— earning Labor the respect and wages that create a solid middle class. But the million who picked fruit remained as Woody Guthrie had found them. Is this the best way we can grow our good orchards? Is the best way we can grow our good fruit? And be known by no name except Deportee. In 1955, though a single mother with seven children, Dolores Huerta left the classroom and went into the fields near Stockton, California. She met farm workers in their shacks, and later went to Sacramento to lobby for a $1.25 wage and an end to the bracero program that treated farm workers like crops, exported when the picking was done. In 1959, she met a kindred spirit. Chavez had heard of Huerta. “She’s a real firebrand,” a Stockton organizer told him, “She’s smart, articulate, self-starting.” Soon Chavez and Huerta were working together. And fighting each other. Their relationship, a historian noted, was “tempestuous from the start.” Arguments turned into shouting matches. Huerta stormed out, only to return the next day. Chavez had no love of “illegals” whom he thought hurt the cause of legal immigrants. Huerta’s orchard was big enough for both. “The people themselves aren’t illegal,” she said. “Their action of being in this country maybe is illegal.” Huerta bristled at Chavez’s self-importance. “The guy sounded like a messiah,” she said after one speech. But together, the two formed the National Farmworkers Association in 1962. Three years later, renamed United Farmworkers, the union joined striking Filipino grape pickers in Delano. With Chavez on podiums and Huerta behind a bullhorn, they expanded the strike into a nationwide boycott of California grapes. When Chavez, Huerta, and others walked 340 miles from Delano to Sacramento, Robert F. Kennedy joined the cause, befriending Huerta, who was with RFK that night when he thanked supporters and walked into the hotel kitchen where he was gunned down. The boycott continued until 1970 when Huerta helped negotiate the first contract between growers and pickers. 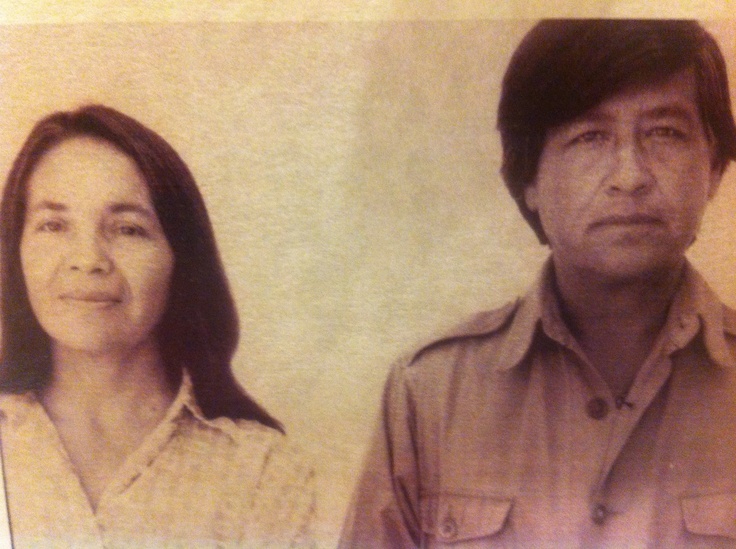 As strike followed strike, Huerta devised a motto for the UFW— Si, se puede. Yes, we can. Huerta’s passion and tactical brilliance led to the California Agricultural Relations Act of 1975 that recognized the UFW. Yet Huerta was only recognized on a national stage after Barack Obama took the words right out of her mouth. Now 87, Huerta is still fighting, showing up at marches for minimum wage or in support of the Dream Act. A documentary, “Dolores,” is now online. But her spirit lives on, not just in the Dolores Huerta Foundation but in her children — all eleven of them — organizing, lobbying, proving that we can.